Since moving to Norfolk Island with her family, Allie Bennett has been feeling increasingly alone and isolated. Just as an attraction between Allie and her classmate, Noah O’Brien, starts to brighten her spirits, Noah discovers that she is descended from John Bennett, the brutal commandant who oversaw the penal colony 150 years ago and made the lives of the convicts, including Noah’s ancestor, a living hell. This threatens her relationship with Noah, so when Allie discovers a hidden diary and learns of the injustice of the past she vows to put things right. But digging up the past will damage reputations and could even end her relationship with Noah. Can a token of love – a ring made from hair – solve the mystery of what really happened so long ago, and finally lay the past to rest? Interview about my books and, in particular, A Ring Through Time, recorded with Pat Harding, Executive Producer of News and Current Affairs, Radio Great Southern, WA. 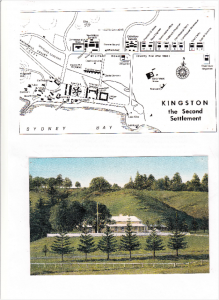 The novel was inspired by my first visit to Norfolk Island. I found its history fascinating, but I also had a girl ‘talking’ to me while we were there! My husband and I went snorkelling at Emily Bay. As I put my face into the water, I heard a voice say: ‘If only I could see my own life as clearly as I can see underwater.’ Who was the girl? What had gone wrong that she needed to see her life more clearly? A trip down the Murray River when I saw some hair rings in the small museum at Swan Reach also contributed to the plot lines and – some 12 years after that holiday – this novel finally came together. A Ring Through Time is faction, a fictional history based on the brutal convict past of Norfolk Island. 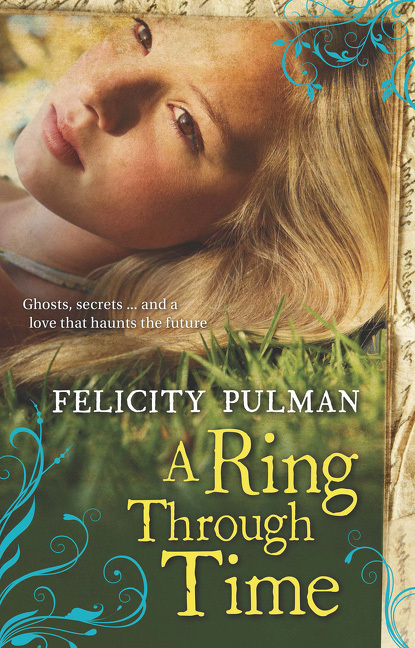 In the words of Robyn Sheahan-Bright, it is also a ‘Gothic romance’, a ‘highly entertaining and deeply thoughtful book about the interplay between Australia’s past and present.’ See my article about researching and writing A Ring Through Time in Viewpoint – on books for young adults Vol. 20, No. 4 Summer 2012 edition. Teachers’ notes are also available.